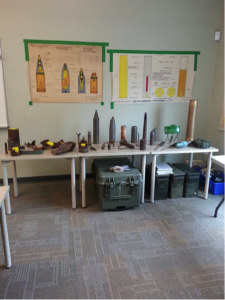 Home » Centre Blogs » Second World War » Reflections from the Field: A Historian Attends a Science Workshop on Underwater Munitions, 27 June to 1 July 2016. Reflections from the Field: A Historian Attends a Science Workshop on Underwater Munitions, 27 June to 1 July 2016. The view was simply magnificent. Looking across Halifax Harbour from Dartmouth, I could see a bustling waterfront full of people and tourist shops. Sea gulls flew overhead while several boats traversed the upper harbour heading out toward the Atlantic Ocean. The breeze was salty, the air was warm, and the skies were clear and sunny. But the beautiful scenery obscured the dangers hidden far below the surface. Along coastlines around the world, a threatening legacy of war and disarmament lays buried in the seabed: dumped conventional and chemical munitions. Primarily thrown in the oceans between the 1920s and 1970s, these tools of death and destruction are now corroding away and polluting their surrounding marine environments with toxic chemicals and carcinogens. The total amount dumped at sea in the twentieth century remains unknown, but experts estimate that roughly 1 billion tons of conventional and chemical munitions were disposed of in the oceans. Depending on whom you ask, opinions on the dangers will vary. Some scientists believe that underwater munitions should be left where they are and monitored closely for any serious changes, while others consider them an unfolding environmental disaster and advocate for their immediate removal. Conventional (left) and chemical (right) munitions being dumped at sea after the Second World War. Source: (above left) Imperial War Museum, H42207. 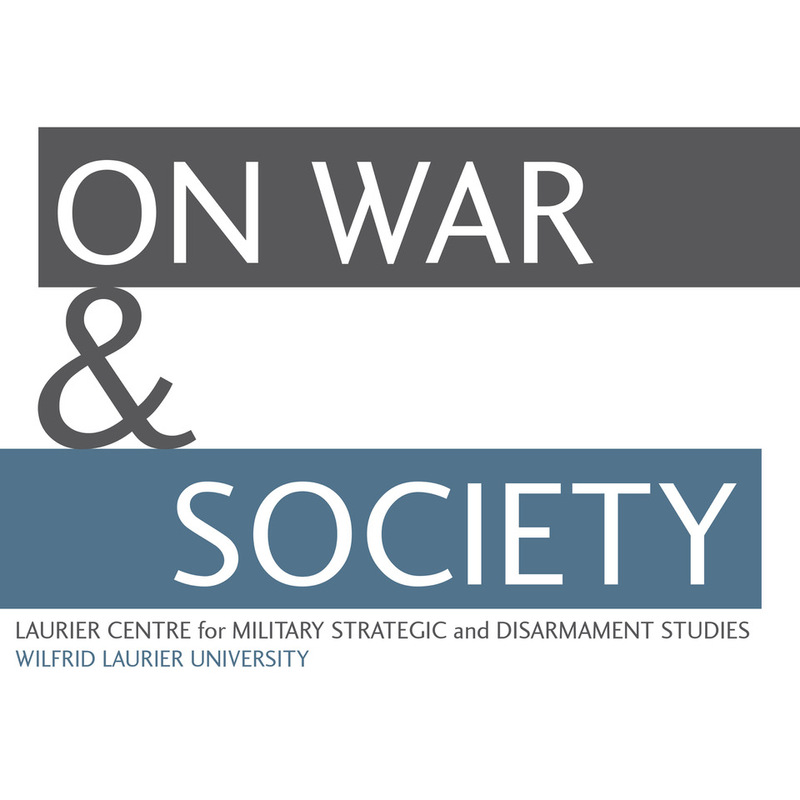 I was in Halifax in late June at the invitation of Terry Long, Chairman of the International Dialogue on Underwater Munitions (IDUM) and a retired explosives disposal expert from the Canadian Armed Forces. Terry’s position on underwater munitions is crystal clear: he believes they are one of the greatest threats to human health and marine ecosystems. For the past twenty years, he’s been working towards creating a binding international treaty to clean up the oceans (his recent online petition can be found here). 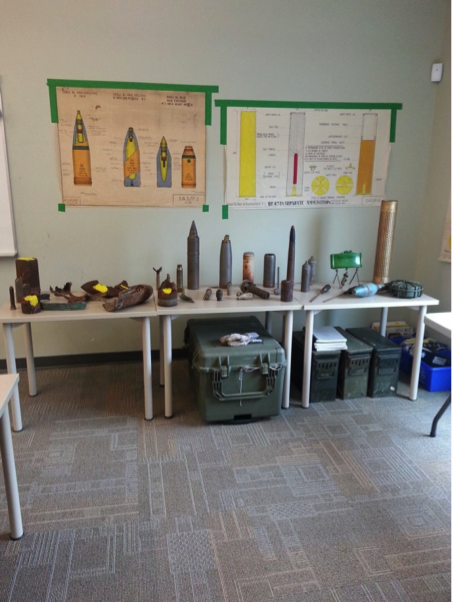 In an effort to engage the next generation of students and activists, Terry co-organized a week-long summer school for young scientists interested in underwater munitions at the Waterfront Campus of the Nova Scotia Community College. Despite my lack of scientific training, I decided to attend and learn what I could about the science and ecology of underwater munitions. A small collection of recovered underwater munitions. Source: Alex Souchen, Photos from MODUM. The workshop was sponsored by MODUM, a catchy acronym derived from a NATO Science for Peace and Security initiative titled: “Towards the Monitoring of Dumped Munitions Threat.” MODUM was a three-year program established in 2013 under the direction of Dr. Jacek Beldowski, a Researcher at the Institute of Oceanology Polish Academy of Sciences (IOPAS) and an expert in heavy metals and marine toxicology. MODUM’s goal was to find and monitor the sites where chemical munitions were dumped in the Baltic Sea after the Second World War. It was supported by the international collaboration of many environmental scientists, oceanographers, marine biologists, and weapon experts from Poland, Sweden, Denmark, Germany, Russia, and the Baltic states. It consisted of three phases that included testing, surveying, and monitoring at three dump sites: the Bornholm Deep, Gotland Deep, and the Gdansk Deep. Although I was not involved in MODUM, it was clearly an important stepping-stone for data collection that will assist with future projects such as DAIMON or “Decision Aid for Marine Munitions” which just received funding from NATO until 2019. A quick glance around the classroom revealed the best and worst things about MODUM. In total, there were about 20-22 students and 5-7 instructors participating from 8 different countries. No doubt these were significant numbers, but by my estimate they accounted for maybe 10-15 percent of all scholars engaged in studying underwater munitions. These numbers will need to increase in the future if the field is to survive and expand its focus beyond the Baltic region. However, in the short-term the smaller numbers might be a good thing, as a narrow cadre of expertise is essential to forging familiar and collaborative relationships across multiple disciplines and methodologies. The workshop demonstrated the value of these collaborative relationships. Throughout the week, we learnt that the study of underwater munitions is dependent on the relay of information from one cluster of expertise to the next. Whether it’s locating new dump sites and surveying them or testing samples and deciphering the levels of risk, contamination, and toxicity, each branch builds from the information provided by the others. However, it was also abundantly clear that the corridors of information ended when the chain reached its last cluster of expertise. From what I could gather, most scientists studying underwater munitions haven’t considered educating the public a major priority – either by relaying their findings directly or by establishing a central archive to house all of MODUM’s records for posterity. Perhaps the most surprising thing I learnt at MODUM had nothing to do with underwater munitions and everything to do with how disconnected these scientists are from public engagement. Not a single scientist I met had a Twitter account or made much of an effort to disseminate their activities and research findings outside of academic circles. I was shocked. I was the only person in the room posting anything to social media (#MODUM) for the whole week. Obviously the science is difficult to explain to an audience in a 140 characters or less, but without better public engagement it’s no wonder that few people have ever heard about underwater munitions! 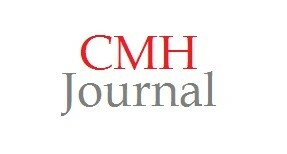 Moreover, a robust online presence might have attracted more attention from the news media. Unfortunately, no journalists accepted invitations to attend MODUM or interview participants. This was quite striking and worrisome considering the wider economic, political, social, and environmental dangers of underwater munitions, particularly in reference to the off-shore petroleum industry and oil exploration in known dumping grounds like the Shelburne Basin. The MODUM workshop offered students a whirlwind tour-de-force of all the various elements involved in the study of underwater munitions. First, we learnt about the historical background, though these lessons were taught by those without history degrees or much appreciation for context and causation. Perhaps, next time, a historian should teach the historical components. However the workshop’s main focuses were not historical, they were scientific and practical. We next learnt about the interdependency of the scientific fields investigating underwater munitions and gained a hands-on approach to data collection and analysis. In a very short time, we were taught the basics of ecology, marine biology, analytical chemistry, oceanography, and environmental science. Classroom lessons covered the sources of contamination, corrosion and sediment rates, chemicals and derivative products, biomarkers and fish diseases, water quality, benthic fauna, toxicity, risk assessment, diffusion models, and operational instructions for the scientific equipment. Perhaps the most exciting part was spending time in the field where students got a chance to drive an ROV (Remote Operated Vehicle) and take water and sediment samples. We also planned and executed a survey mission for an AUV (Autonomous Underwater Vehicle) which mapped a portion of the Bedford Basin with side-scan sonar and analyzed the images to determine possible locations of underwater munitions. Left: Deploying the AUV in the Bedford Basin. Middle: The AUV heading off on its survey mission. Right: Analyzing the survey’s results. The images were created by side-scan sonar. Source: Alex Souchen, Photos from MODUM. Overall, I’m glad I attended the MODUM Summer School in Underwater Munitions. I learnt a great deal about the science and ecology of underwater munitions and it was a great opportunity to network with other experts across many disciplines, countries, and professions. MODUM also taught me a lot about the value of the humanities and social sciences. This lesson dawned on me after a particularly dense presentation of mathematical and scientific formulas, graphs, and data. Much like historians, scientists explore change over time but their vision is grounded in the natural world which has constant and measureable qualities, rules, and truths. Apart from the scientists performing the experiments, the scientific method seems devoid of human agency. In a way, the scientist has it easy: humans are inherently harder to study than the natural world. Unlike humans the environment doesn’t lie, have emotions, or a conscience, while humans are erratic, difficult to quantify, and their experiences cannot be recreated in laboratories. The value of the humanities and social sciences is their appreciation for human agency and the study of human-driven evidence. The field of underwater munitions needs more historians since we are trained to decipher the chaos of past events, contend with gaps in the evidence, and contextualize human actions and reactions. A better knowledge of history will undoubtedly improve scientific inquiry, but most importantly, it will boost public engagement by infusing sources of human interest and agency into a serious political, economic, social, and environmental issue. For more on the International Dialogue on Underwater Munitions see: http://underwatermunitions.org/.